Good Time is a crime-drama film directed by Joshua and Ben Safdie and starring Robert Pattinson as Connie. It is out now in the States and is yet to be released here in the UK. Going off the trailers, the film looks like a gritty story of Connie and his mentally challenged brother Nick (Ben Safdie) living a life of crime, only for Nick to wind up in jail and Connie having continue criminal activity in order to get his brother out. We’re here today to talk about the soundtrack, which has been created by one of the most interesting musicians of recent years, Daniel Lopatin aka, Oneohtrix Point Never. Oneohtrix Point Never has spent over a decade creating otherworldly electronic music, with highlights including 2011’s meditative ‘Replica’ or 2015’s whirlwind, all-over-the-place ‘Garden Of Delete.’ His core signature sound features serene overtones, unpredictable, jumpy textures and otherworldly atmosphere which he has carried through into this score. 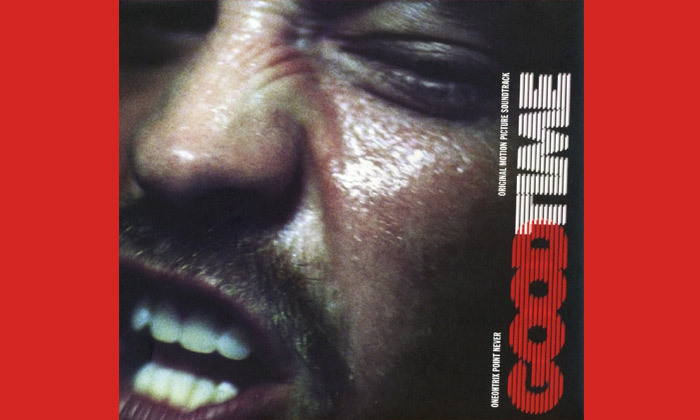 ‘Good Time’ starts this thing off as a foggy dream, before the soundscapes sore into something more monolithic. With tall, arpeggiated synths climbing sky-high, this feels like it could be on the soundtrack to a movie like Bladerunner. The dark overtones give it a gritty intensity, more akin to what the film looks like it’s going to be. Most importantly at all, this is distinctly Oneohtrix Point Never as mind-moulding noise sweeps up and down throughout this track. ‘Bail Bonds’ is just as hazy whilst jumpy, yet is punked up, being shorter and speedier. You can imagine this will be put to a getaway sequence or something. That’s an advantage of listening to this, having not seen the film, it makes you use your own imagination as your mind automatically pictures Connie’s actions matching the direction or feel of a song. ‘Hospital Escape/Access-A-Ride’ is gripping, but takes it’s time with keys pacing back and forth. It feels like you’re in an emergency room, on the verge of passing out and such suspense is aided by Oneohtrix Point Never’s signature, wirey, unsettling approach. ‘Ray Wakes Up’ features esoteric rumblings of cut-up noise, make this feel like you’re in the operating room following the accident the previous track made you feel like you’d suffered and with comatose drones in this track, it really feels like you’ve been put to sleep and are under the knife. ‘Entry To White Castle’ is akin to the iconic Exorcist theme, the way sharp, yet angelic notes just keep prodding at you. Naturally this has a much more futuristic feel with how space-age the vibe of this score is. ‘Flashback’ returns to futuristic-city-like might with the synths going for a swagger walk, flexing their muscles. This track does however go into light breathers of serine lines, offering some zen. Unlike OPN’s ‘Garden Of Delete’, which was incredibly varied sonically, managing to explore a different genre in each song, be it IDM or dream-pop, granted with each exploration fitting under one vision; this soundtrack largely follows a synthwave vibe. However, this is understandable given that this is a film soundtrack at the end of the day, and needs to match the tone of said film. With that being said, whilst this record doesn’t travel to many different genres, it does travel through many different moods and places which again, helps this succeed as an adventure within itself as a record, alone from the film. ‘The Acid Hits’ has these very dreamlike swishes of ascension which counter erratic, malfunctioning synthlines, which along with the song’s title, make you believe a character is intoxicated; the way the mind of this song is in such a peaceful state one second, then going haywire the next. ‘Leaving The Park’ is euphoric and victorious, yet remains intense. Not to beat a dead horse, picturing what will be going on for certain tracks, but it wouldn’t be surprising if this is the track where our protagonist(s) succeeds in their goal. However, because of the gravel of the track you’re left to keep guessing. Closer ‘The Pure And The Damned’ is the only track on the album that strongly ventures away from the synth-heavy approach, being mostly a piano ballad aided by some drifting synths, with vocals by none other than Iggy Pop himself! This track has been out for a while now, but no amount of listens takes away from its emotional weight. There are eerie spoken word parts that helps keep this within the record’s dark tone, but overall, it’s an incredibly sobering song that rightly closes this trip of a record as Pop takes an uncharacteristically tender approach singing about love and different kinds of people’s relationships with love. You just know that whenever this song is used in the film, however it’s used in the film, it’s going to tug at the heartstrings. This is a fantastic listen, as a stand-alone record and no-doubt alongside the film it accompanies. It may be a bit too soon to say, but you can really see this going down in history as a classic soundtrack. It’s not really surprising given how impressive the run of the previous few Oneohtrix Point Never records have been, and his sound has always had cinematic scope and ambition, that it really lends itself to this kind of format.